Come and experience THE GOOD LIFE in this spacious four-bedroom, three bath home. 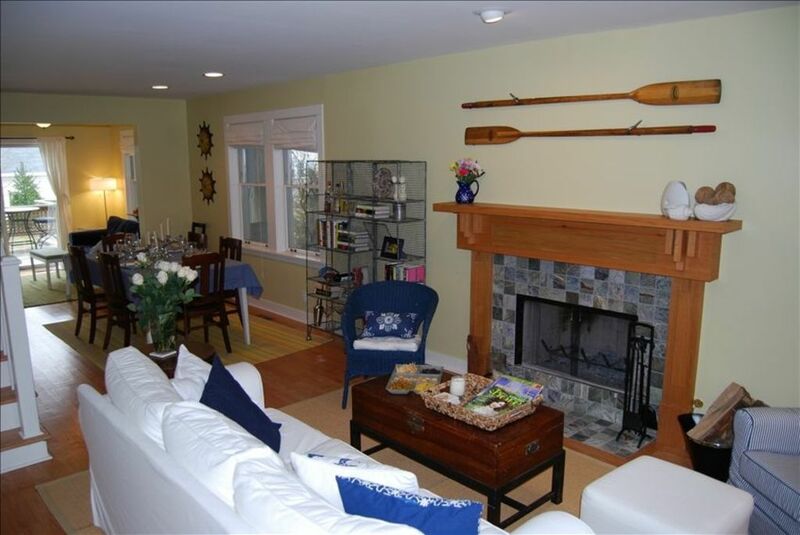 Just a short walk to the beach in beautiful Union Pier, Michigan, this home is ideal for entertaining, accommodating large families, couples or a group of your closest friends. Enjoy the spacious back deck equipped with grill and bar or opt for the comfortable screened-in front porch- ideal for drinks on a warm summer evening. Hammock, beach chairs and great front and back yard provided- you bring the fun! Experience Harbor Country as it is meant to be enjoyed, with great restaurants for all tastes and budgets, wineries and orchards with tasting rooms and vineyard tours, hiking and biking in Warren Dunes State Park, and of course- the beautiful BEACH! Although we rent our home for much of the summer season, we also enjoy it ourselves a great deal. Our favorite times are definitely in the spring and fall when we get to enjoy the changing seasons. Even in the winter, we are in Union Pier at least twice every month. We simply cannot get enough of this amazing community and all the friends we have made there! Our home is very centrally located in Harbor Country and we love the easy access to the beach, the dunes, to restaurants, wineries, golf courses, antique stores; really everything that the area has to offer. location, location,location. that was the best place to stay. lots of food places and close to the beach. As advertised, met our needs for family vacation with 8 adults and 3 grand kids. s advertised, met our needs for family vacation with 8 adults and 3 grand kids. Close enough to lake and cafe's. It is a great home. Plenty of room for our family of five adults and two children. The kitchen is so well stocked that all we have to bring is food. The home is very well taken care of. We plan to return next summer! This is year two at our Union Pier vacation home. The House continues to delight with its spacious rooms and relaxing screened in front porch and sunny back deck. I cannot imagine a more well-equipped kitchen! We really enjoyed preparing fresh meals, using the giant grill and the super quiet dishwasher. The owners provide a huge selection of books to browse, games to play and Netflix on the TVs. This year we took advantage of the beach nearly everyday. We also ventured to beaches at Warren Dunes and St. Joe. There is a great gear shop on the corner where we rented Maui Mats for grandkids to play on in the water. They are full-service and very friendly. (Red Arrow Ride). The house is well located between I-94 and Red Arrow-easy walk to breakfast, lunch, gelato, coffee, groceries, beer and wine.- a lovely bike ride to New Buffalo for more fun shops and eateries. Matt, our host, is very accessible and helpful. He has a great team helping keep the place ship-shape. We can’t wait to go back! My family always enjoys our stay at Matt’s cottage in Union Pier. This year was no exception. We had a fun, peaceful and comfy time. The best year yet! Thanks, Matt. Look for us again next year.